This spiritual memorial fan design displays a wooden cross necklace hanging down a classic wooden parchment paper background. We can assemble the fans for you, or you can choose to do it yourself. We provide you with all the necessary components needed for easy to assemble fans. A great idea and unique memorial to stay cool during those warm days. 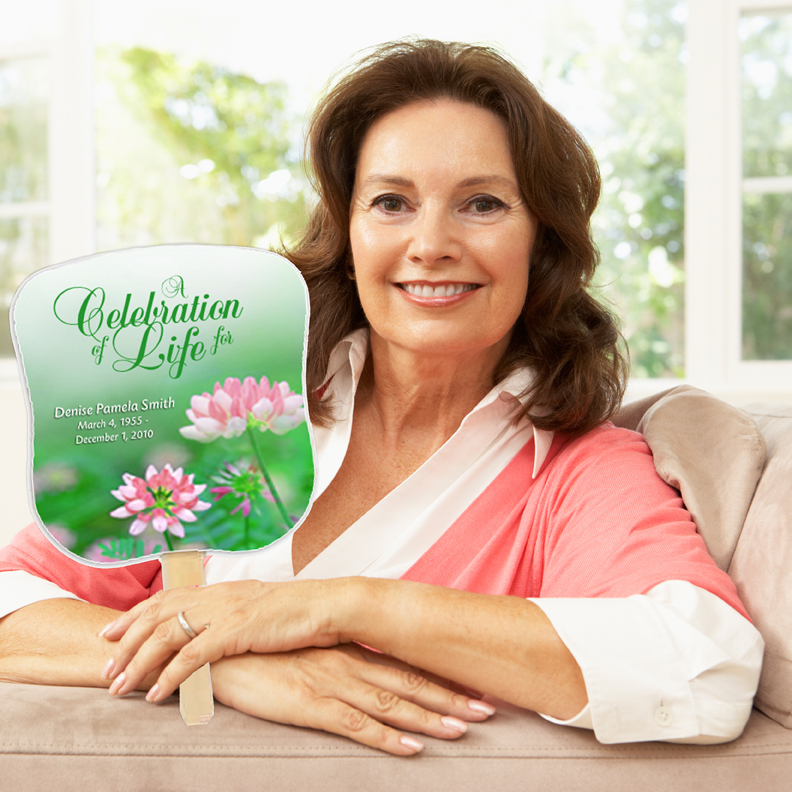 The colors for this memorial fan are tan and brown hues.